A rift between the Governor of Eastern Highlands Province from the government is showing markedly. Governor Numu sits on the middle benches, but has been supportive of the government, until his surprise public defection on the floor of Parliament to the Opposition last month. The breakaway was evident last Thursday, when Mr Numu was not at the Goroka Airport to welcome Prime Minister Peter O'Neill and his delegation comprising the ambassadors of the United States and Japan, and the high commissioners of Australia and New Zealand, who traveled to Okapa District to launch the K3bn PNG Partnership Electrification Project for the country. NBC News learnt that Governor Numu was invited to witness the occasion however, did not show up. Mr Numu and his administration are also reported to have removed an ambulance from the Henagaru aid post in Okapa District, surprising the local MP, Saki Soloma, who is a member of the prime minister's People's National Congress Party. The governor's office had purchased and donated the vehicle at Tarabo last year. 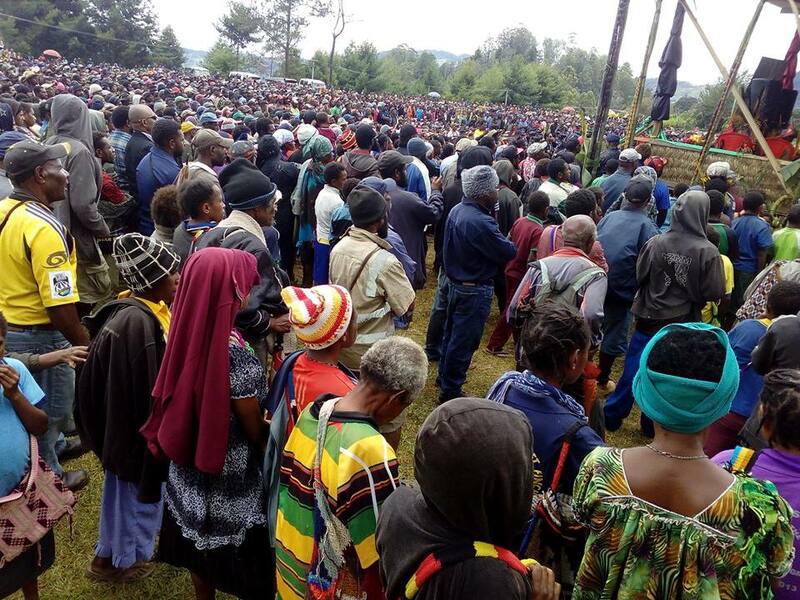 Eastern Highlands Province has a strong support base for Mr O'Neill's government. It has three MP's in the ruling party - Unggai-Bena's Benny Allan, who is also Lands Minister, Henganofi's Robert Atiyafa and Okapa's Saki Soloma. The government's second biggest coalition partner, PANGU, has a representation in Lufa, in Moriape Kavori, the United Resources Party has Obura-Wonenara's Merra Mine Kipefa, who's also the Labour and Industrial Relations Minister, the People's Progress Party has Mining Minister Johnson Tuke in Kainantu, Daulo district has the Social Democratic Party with Pogio Gahate, and the Country Party has Goroka's Henry Ame. All 8 MP's of the province showed support for the prime minister to remain in power, after traveling together with him to Okapa. Minister Tuke had told thousands of people who had gathered there that they will ensure Peter O'Neill continue as prime minister so the province can continue to benefit. Meantime, Prime Minister Peter O'Neill says a leadership appointed by God cannot be easily removed. Mr O'Neill was hinting on his own leadership of the country, when he was speaking in Okapa last Thursday. He was referring to a lot of public disaffection and not to mention the proposed Vote of No Confidence, which the Opposition plans to move against him as the prime minister. Mr O'Neill says the government has many enemies, but they can not move him from the government when God has appointed him. The prime minister also took a swipe at Mr Numu, at what he claims as lies fed by him, in relation to the Coffee Derivation Grants for the province. This is among reasons Mr Numu had highlighted among his decision to move to join the Opposition last month. But Mr O'Neill told thousands of people which gathered at the Okapa District Station, that his government was not responsible for the grant, and that it was stopped by former governments, whom Mr Numu should blame. The other major project for Eastern Highlands is the Korofegu Agriculture Park, which Mr O'Neill says is taking time because the government wants to know what the Chinese developer is contributing to the multi-million Kina project before it can announce its own contribution.